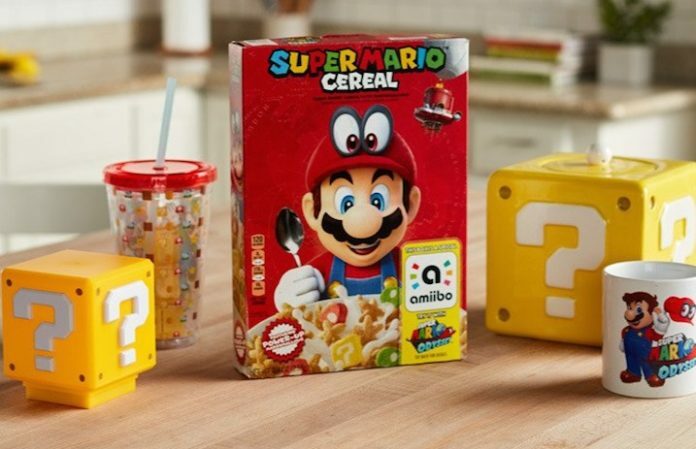 Get ready to start your day with a delicious level-up: Nintendo is releasing a limited edition Super Mario Cereal just in time for the holidays! The breakfast collab from the video game maker and Kellogg's rolls out Dec. 11. According to a press release from Nintendo Of America, not only will each Super Mario Cereal box feature collectible Super Mario Odyssey art, it'll also double as an Amiibo accessory. That's right, when you're playing Super Mario Odyssey, you can tap the cereal box with your Nintendo Switch—just like you would with an Amiibo—to get gold coins or a heart in the game. Fun!